YNKPLP and Krewe of St. Florian together again! 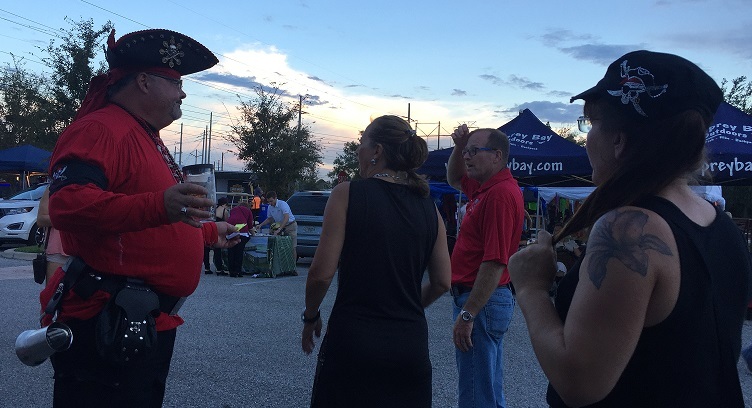 This time the Peg Leg Pirates co-hosted a fund raising event to benefit Tampa Firefighters Museum in downtown Tampa. 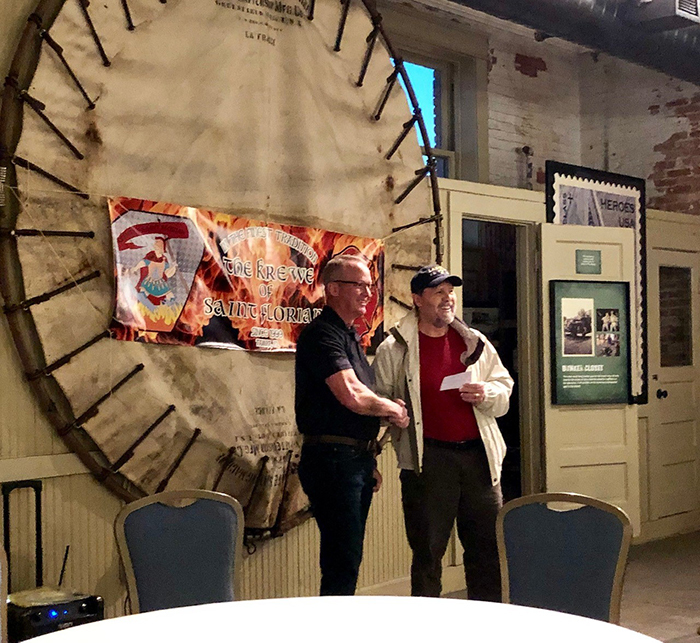 The Pre-Gasparilla party took place on January 25, 2019 and was attended by over 100 members and guests. Plenty of food, drinks and camaraderie contributed to the fun! Together, with St. Florian, we raised over $1,600 for the museum! A big thank you to those that helped to make the event a truly successful one! By: Lila Gross WFLA News Channel 8 Posted: Jan 26, 2019 12:40 PM EST Updated: Jan 26, 2019 10:23 PM EST TAMPA, Fla. (WFLA) – Argh you ready? The pirates have invaded for Gasparilla and one special krewe isn’t just here to collect booty. 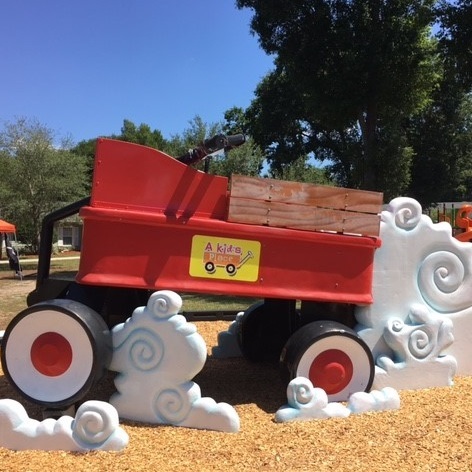 The Ye Notorious Peg Leg Krewe pirates aren’t just scallywags when they storm the city of Tampa, they also help kids in need. These hearty pirates aim to help amputees, vets and the kids at Shriners Hospital. The krewe initiated in 2004 after one of their founders was struck by a truck and lost a leg. Today there are 65 members of this “mighty krewe with a cause.” One of those members is Bryan Sinnott, who makes prosthetics for the Shriners kids by day and he puts on his pirate hat at night. “I’ve been a peg leg pirate for five years it’s almost like an intermarriage between the two of us and we help each other out. It’s a wonderful relationship,” Sinnott said. 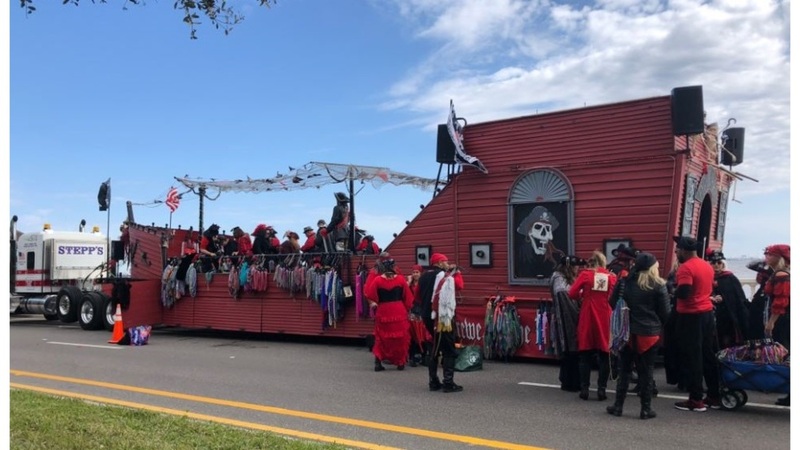 Check out the Peg Leg Krewe during the Gasparilla parade today during live coverage on WFLA News Channel 8. 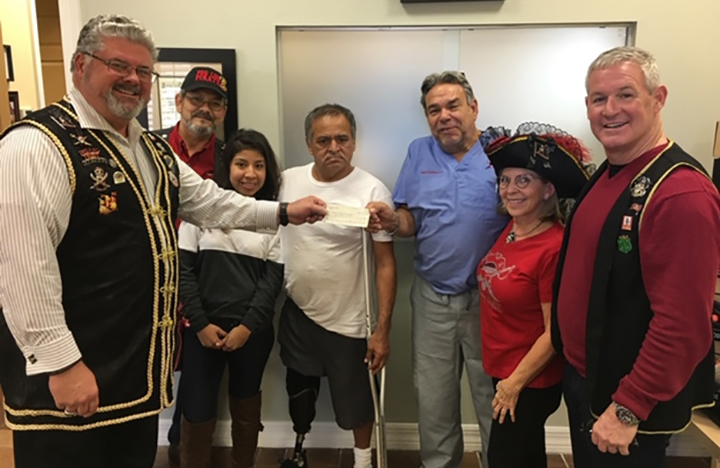 On January 17, 2019, Ye Notorious Krewe of the Peg Leg Pirate, presented a check to Tampa Bay Prosthetics in the amount of $3,000 to benefit Mr. Pascual Vasquez. Mr. Vasquez is a first-time recipient. The team at Tampa Bay Prosthetics reported that Mr. Vasquez has adapted to his new prosthetic extremely well and is eager to continue making strides in progress. He and his daughter were so very grateful to our Krewe for helping to make his quality of life better. Thank you to all of those that have given generously to make a difference in the lives of each amputee we help. Let this merely be the start to a year filled with new beginnings for our amputees! 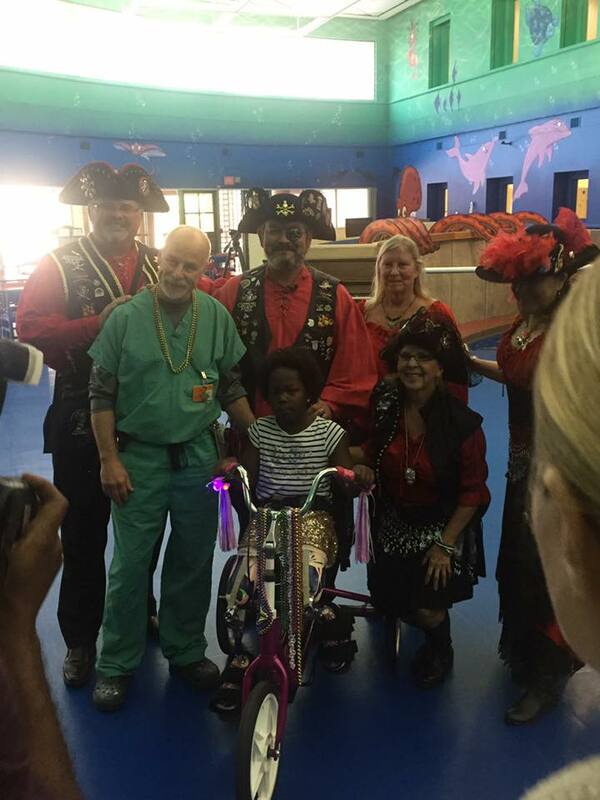 The Ye Notorious Krewe of the Peg Leg Pirate came together on May 11th to make a trike presentation at the Shriners Hospital in Tampa. The recipient was an adorable 2 year old boy named Kenneth Parker. It is always amazing to see their little faces light up as they begin to peddle around the room. Your heart skips a beat and, at that moment, you’re reminded why our Krewe does what it does, support amputees and their families. That feeling never grows old. 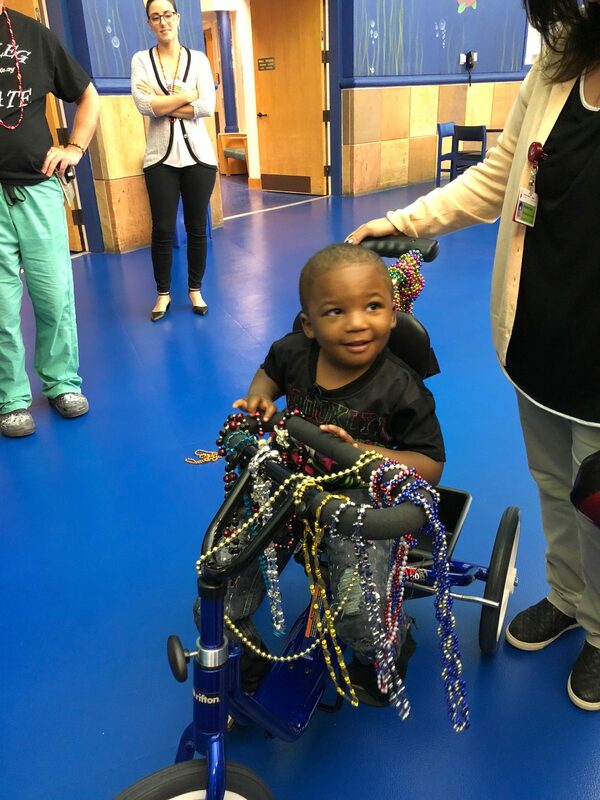 It is very rewarding to know that, through the generous donations of our supporters, our Krewe is able to make a difference in a child’s life. With a grateful heart, we thank all those who contribute to make our mission possible. Submitted by: Ellie H Hamburger Mary’s, in Ybor, welcomed our Krewe Monday night, May 21st, to an evening of Drag Queen Bingo! If you’ve never been to one of the bingo nights, you don’t know what you’re missing. Even though the rain dampened the air, that certainly wasn’t the case for our spirits. The evening was filled with lots of laughs, 50/50 ticket sales, awesome prizes, food and bingo! It was a great time to come together and, through the generosity of Krewe members, their guests and patrons of Hamburger Mary’s, we raised funds to benefit our Kause, amputees and their families. A heart felt thank you to all those that supported this event. If you weren’t able to join us this time, we’ll be hosting another night of Drag Queen Bingo, July 23rd, at Hamburger Mary’s in Ybor. We look forward to seeing you. 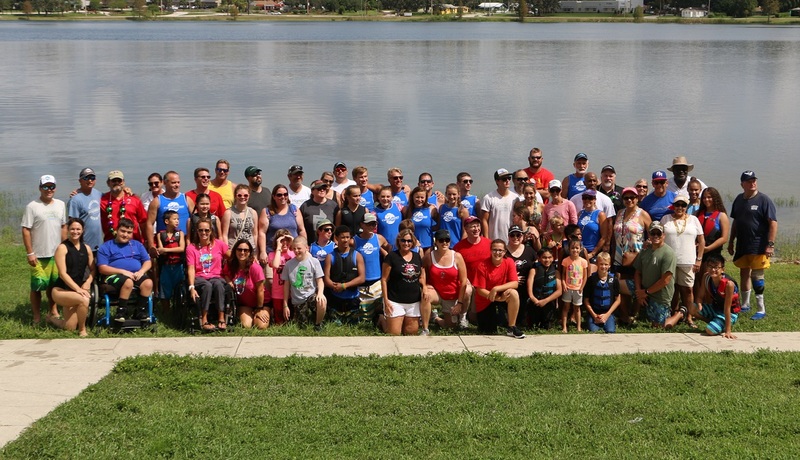 Participants and Pirates alike enjoyed an awesome afternoon on Sept. 30th at “Peg Leg Pete’s Day on the Water” hosted by Ye Notorious Krewe of the Peg Leg Pirate with the support of the Cypress Gardens Water Ski Team and a host of dedicated volunteers. Once again our Krewe participated in the 4th Annual KOSS Rush Event held September 23rd in Brandon. Several of our Peg Leg Pirates attended the 4th annual Pirate Plunder Carnival on Saturday, May 6th at A Kids Place of Tampa Bay in Brandon.